The committee can be emailed by going to Contact Us and selecting "Social Committee." Individual committee member's contact information is available by going to our Property Owner Directory. These Ladies work very hard for the enjoyment of all of Norris Shores. 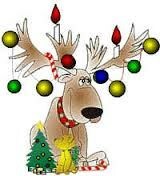 Please thank them, when you attend the events, for their planning, decorating and very good food!! 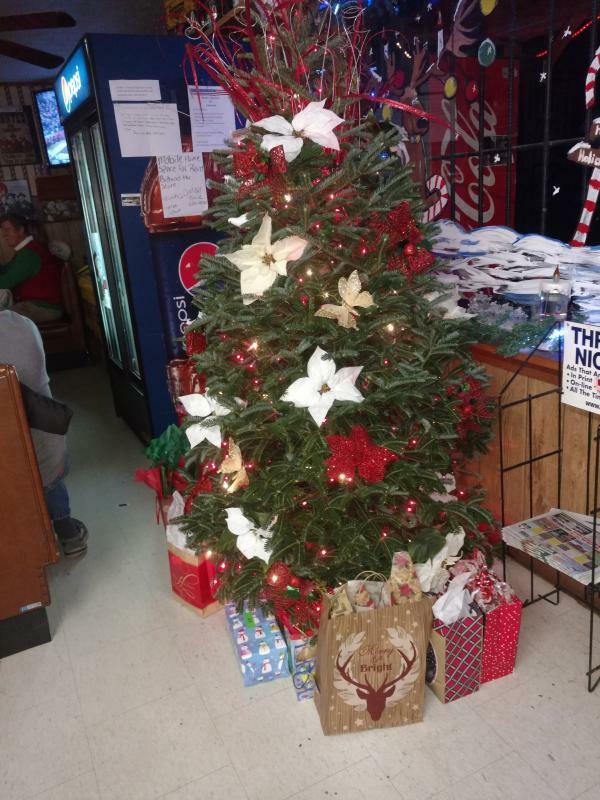 Christmas 2016-Rockin' At Rhonda's....Rhonda's Deli, that is! An unexpected location, but a delightful experience. 42 members attended and thoroughly enjoyed a dinner of BBQ ribs, Cornish game hens and plenty of sides. We played the funny Right/Left game for grab bag gift exchange, enjoyed the company of our neighbors and really had a good time. It's Fall Y'all...Fall celebration with Halloween costumes. Approximately 50 members attended. All were decked out in their Halloween craziest costumes. Members brought their favorite chili and lots of assorted other goodies. Ralph Shick played his harmonica tunes for us to enjoy. Scary fun was had by all! Chillin' & Grillin': Many members attended and had a great evening of grilling burgers and dogs along with all of the sides and desserts. Several heated games of Corn Hole followed dinner. The Low Country Shrimp Boil was a huge success and a lot of fun. Close to 70 people attended and enjoyed the shrimp, sausage, corn and potatoes from the boil. Everyone brought sides and desserts. There was food everywhere! We listened to music, played corn hole and caught up with friends that we haven't seen for awhile. New neighbors introduced themselves and were welcomed by all. Ron Pameijer hooked up an antenna for the Social Committee. So a bunch of neighbors got together at the Marina Pavilion to watch the 2016 Kentucky Derby. We participated in all of the Derby Day traditions including singing "My Old Kentucky Home" and enjoying Mint Juleps. Prizes were given out for the best and worst Derby hats and bow ties. Thanks to everyone who joined us in Sunset Bay for our Holiday Party December 5th. We are blessed to live in this development with so many wonderful neighbors! On a cool evening, Friday the 13th, property owners from Norris Shores gathered at the Marina. BBQ pork, chicken, salads, and desserts were served. It was the perfect crisp evening to sit around the campfire and visit. Look closely at the flames. It appears that Puff the Magic Dragon joined us! 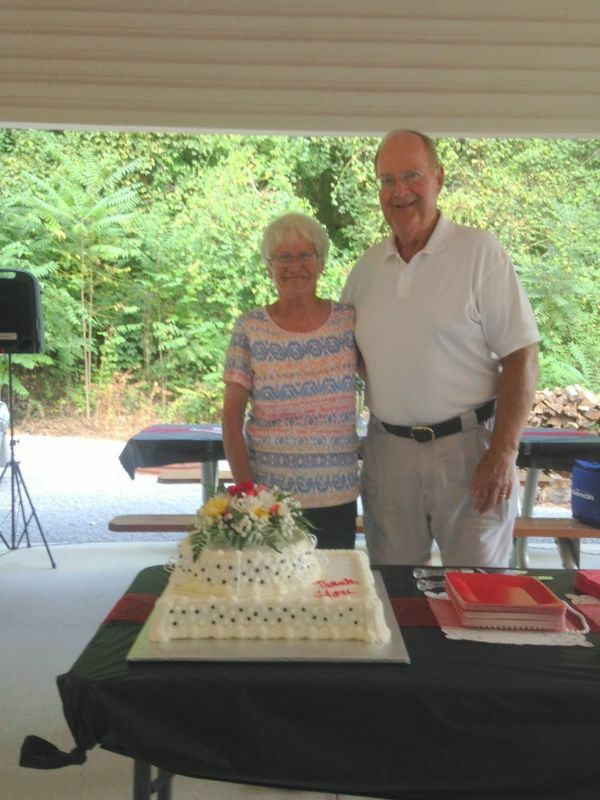 Over the Labor Day weekend, property owners met at the marina to honor and thank Ken and Shirley McRitchie for all their years of service to our community. About 50 residents attended to show their gratitude. 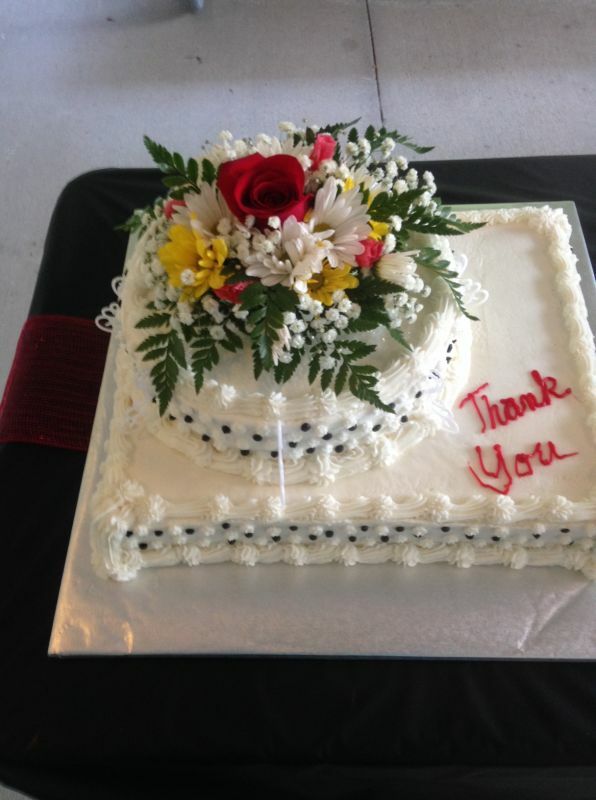 A special thanks goes to Gayetta Cox for making this beautiful cake! A very happy, chatty group of 60 neighbors gathered at the marina for a Fiesta Night on June 12th. New residents and visiting friends were introduced. People contributed desserts and ingredients for building the tacos. Meat for the tacos was provided by the Social Committee. Thanks to everyone who attended and helped make it such a fun evening! 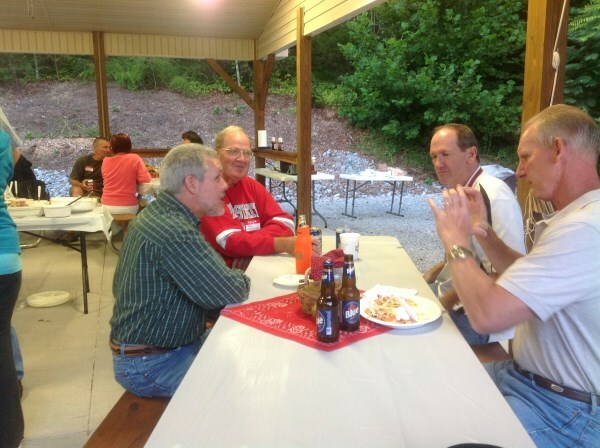 Friends and neighbors from Norris Shores gathered together May 2, 2015 for a potluck dinner. About 40 property owners at the event, welcomed members new to the development. Hamburgers and brats were provided by the Social Committee. Our next event will be a Fiesta Night June 12, at the marina, at 6pm. 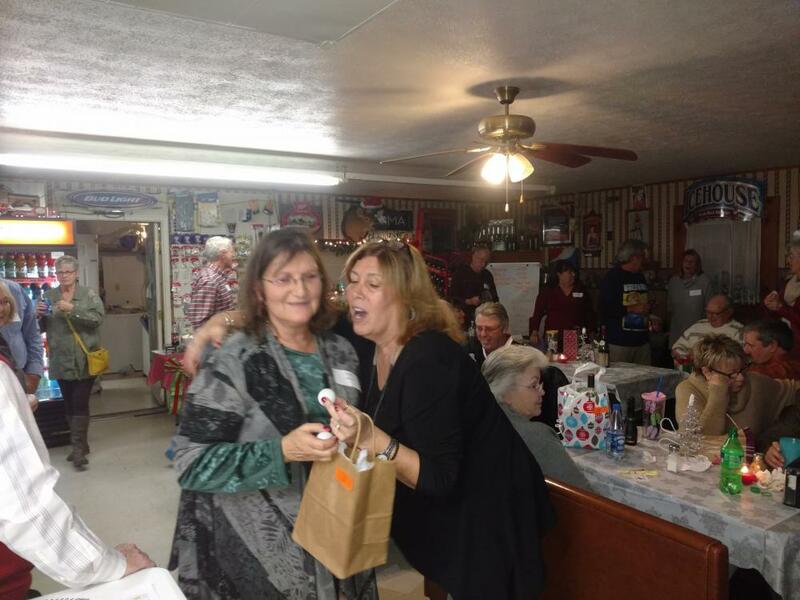 The Norris Shores Christmas Party took place December 13th at Li'l Jo's Bar-B-Que in Maynardville. About 45 property owners attended the event. The Holiday Spirit filled the room as people visited, danced, and enjoyed the evening. Our local resident and harmonica player, Ralf Shick, accompanied The Stock Creek Band who provided music for the evening. About 50 reisdents attended the Hawaiian Luau held at the marina on August 15th. The Social Committee provided pork from L'il Joes in Maynardville, and people contributed side dishes for dinner. A hula-hoop contest was one of the highlights of the evening! Decorated pineapples and cans of Spam were given out as door prizes. Click here to view fun photos from the evening! 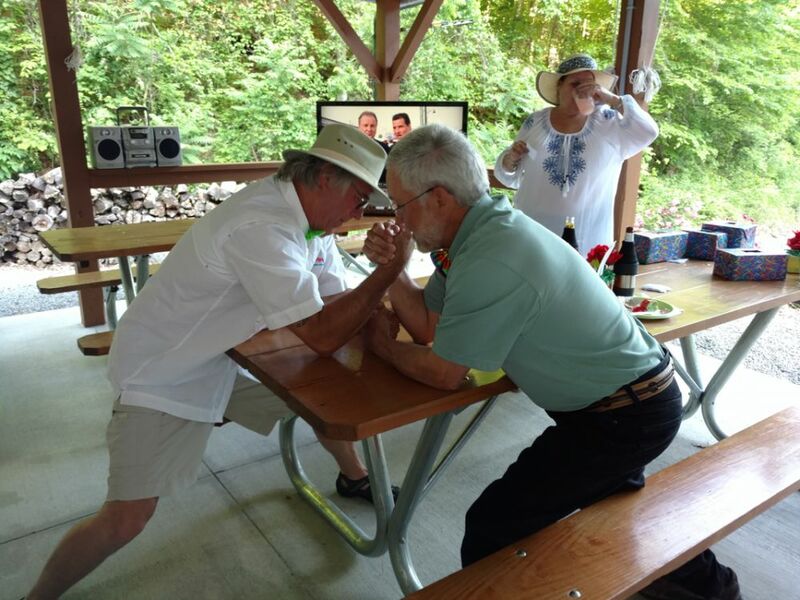 The wine tasting event at the Norris Shores Marina July 25th, was a success, in spite of some"NOs." NO vendor, NO wine, NO tasting! Our vendor got lost on his way from Halls. But owners who attended the event adapted, made some adjustments, and the evening proceeded. The atmosphere was relaxed and congenial as people shared appetizers, mingled, and visited with each other. We are grateful to everyone who was there and helped turn a potential disaster into a delightful evening. That's why we love living in Norris Shores! View photos of the evening. Friday, May 23rd, neighbors gathered to renew old friendships and meet new neighbors. Several new property owners introduced themselves. The event was held at the Marina Pavilion. Over 40 residents attended and brought dishes to share. Meat for the cookout was provided by the Norris Shores Social Committee. It was a pleasant evening enjoyed by many! 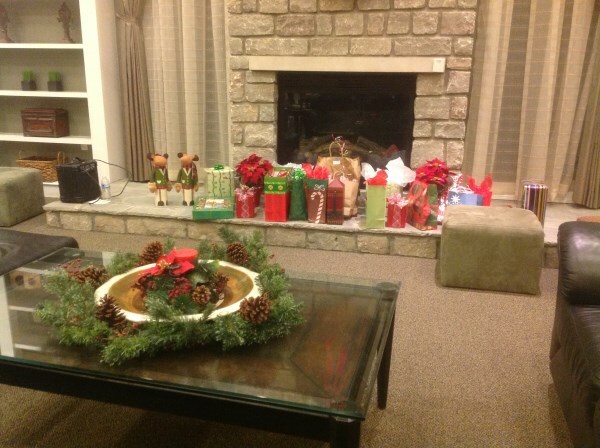 On December 7th residents gathered for a holiday party. Again this year, Sunset Bay allowed Norris Shores to use their clubhouse. The social committee provided ham and turkey and people brought side dishes and appetizers. Everyone sang Christmas carols and exchanged gifts. It was a pleasant evening with about 25 Norris Shores' property owners. Click here to view photo album. If you would like meeting times, dates, and other information for your clubs or activities posted on this web page, please contact Deb Orlin. Her contact information is available in our Property Owner Directory or you may email your information by going to our Contact Us page and select "Social Committee." A new group has emerged consisting of those who have the love of quilting. There were experts among us who were willing to teach the rookies. Everyone is invited to join this new group. We look forward to learning a lot about quilting. Please join us. For more information, contact Cyndi Herrman at 278-7796 or Carolyn Shields at 278-3890. 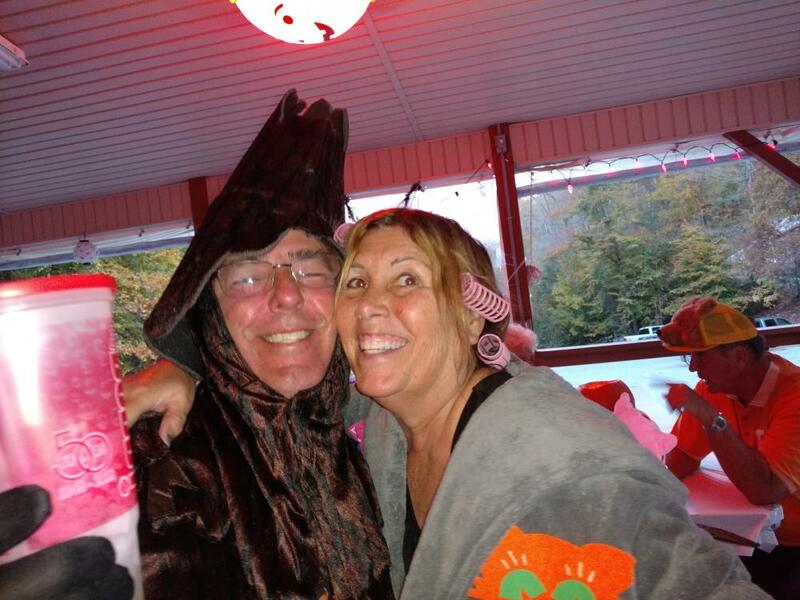 The Norris Shores Social Club began over 10 years ago when neighbors gathered together for a Halloween party. Later, plans were made to include an annual Christmas party. Today, the Social Committee plans events almost monthly throughout the year. The committee hopes to provide opportunities where residents of Norris Shores can gather, socialize, and welcome new residents to our development. Additional events of the past have included a Chili Cook-off, a Pot Luck Dinner, a Hawiian Luau, a Wine Tasting Event, and a Beer Tasting Event. The committee provides a lunch in March for all the Clean –Up workers and they provide part of the food for the Norris Shores Annual Meeting in October. We invite you to browse through picture albums of some events below. Committee members welcome your ideas, comments, and suggestions. Please feel free to email them to us. You may go to Contact Us and select "Social Committee." If you would like to be on the committee, please contact one of the Co- Chairs. 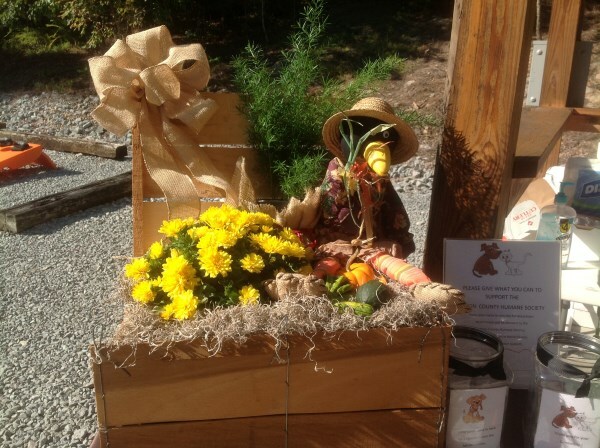 Our next Social Committee meeting will be October 27, at Susan Grecco's home, at 10:30. 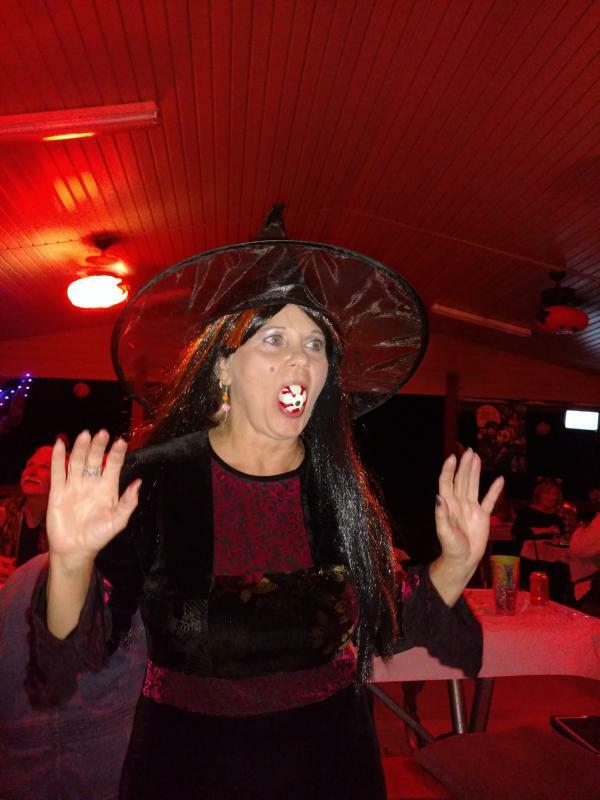 The Chili Cook-Off and Halloween Party was held at the Marina Pavilion November 2nd at 6pm. About 70 residents attended the event. Entertainment was provided. Thank you to the Social Committee, Tom Joiner, and Devoy Brunson who made contributions towards the band. Attendees brought appetizers and side dishes. 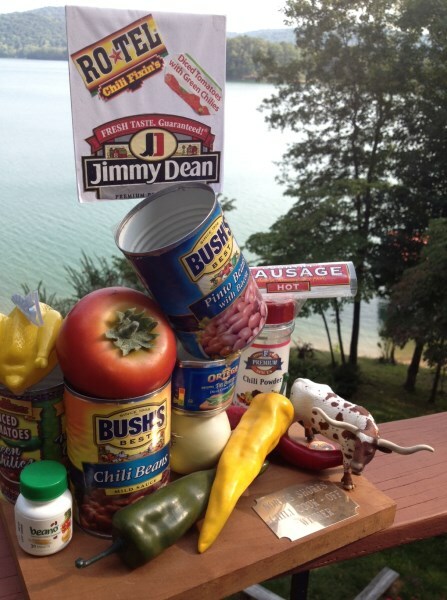 Many people entered the Chili Cook-Off with their special chili recipes. Congratulations to Tammy Thomas who won the cook-off this year! We know you are proudly displaying the trophy until next year's competition! Thanks to everyone who helped make this evening a success! Norris Shore's property owners met at the pavilion for their annual meeting. Results for the election of officers and trustees were announced. Scott Gregory won for Vice President. Rob Price will be our new secretary. The three new trustees are Steve Cox, Pat Hurley, and Tim Sando. Congratulations to the new officers and trustees! And a big thank you to everyone who ran for a position. Following the meeting, property owners shared a meal and enjoyed the entertainment. Norris Shore's residents came together to eat and socialize at a Pulled-Pork BBQ. Mike Grecco for spending the day smoking the pork roasts! 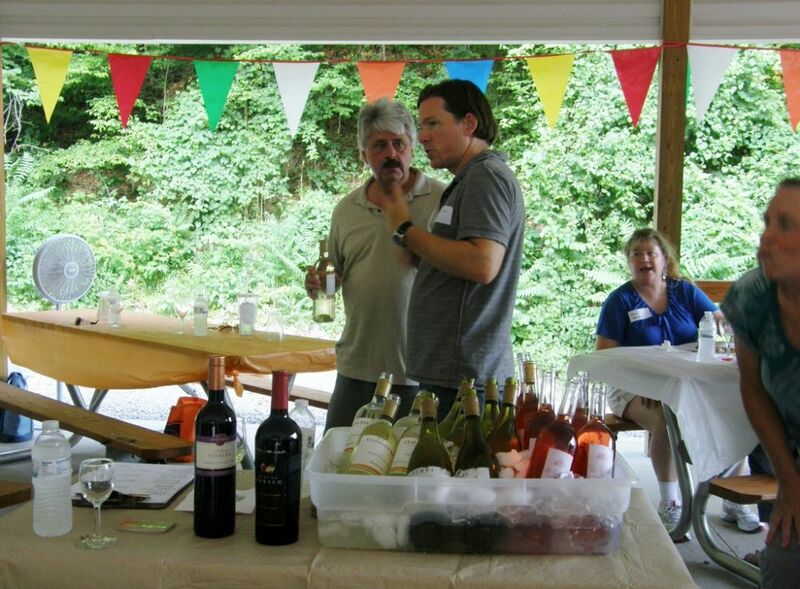 Stuart Hamm, a wine specialist from Pop's Liquor in Powell, TN hosted a wine tasting event June 21st. at the Norris Shores' Marina Pavilion. He began the evening with a taste of champagne, then introduced four wines from France to the 50 people who participated. Many friends and relatives of residents attended the event. Thank you to everyone who joined us, shared appetizers, and contributed to a successful evening! Norris Shores neighbors gathered together May 31st for the Second Annual Meet and Greet Potluck. About 50 residents and guests attended the dinner. After eating, people had a lot of fun playing Corn Hole games! We're grateful to everyone who participated and contributed to a successful potluck event. Our next event will be a wine tasting evening June 21st. Details are included above. The first social event for 2013 was a Fiesta Night, May 3rd, at the marina pavilion. Over 50 neighbors attended. It was a relaxing, fun evening to greet old friends and welcome new neighbors to Norris Shores. Casey and Toots Albertson are from Cincinnati and have purchased a home on Island View. Vincent Mains and Carolinda Cain from Indianapolis are building a new home in Emerald Pt. Thank you to all the people who attended and contributed to a very festive evening! And a special thank you to our Dock Master, Ken McRitchie, for working hard to have the pavilion and surrounding marina area in pristine condition for the party! 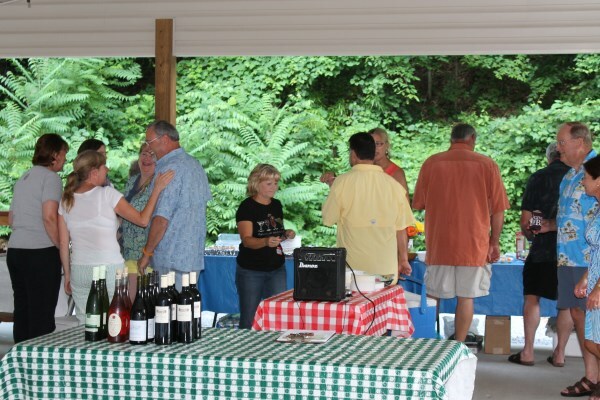 The Wine Tasting Social Event held on June 22 and planned by the Norris Shores Social Committee was a terrific success. 56 neighbors gathered down at our marina pavilion, bringing appetizers to share and learn about different wines provided by Pop's Liquors. Photos of the evening have now been uploaded to the Photo Album in the Social Events category. If you have pictures to share, upload them, too! 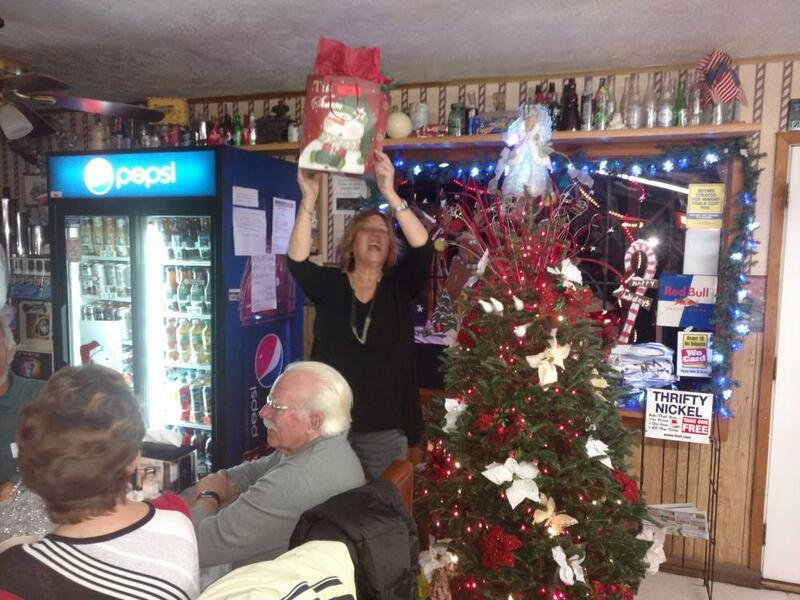 Click on the link above to see photos from our most recent Christmas Party. This year we changed up the format and borrowed Sunset Bay's clubhouse. Good time! Halloween 2011 with Chili Cook Off! 2011 Chili Cook Off, Hot Dog Roast, and Halloween event held under new pavilion at the marina. 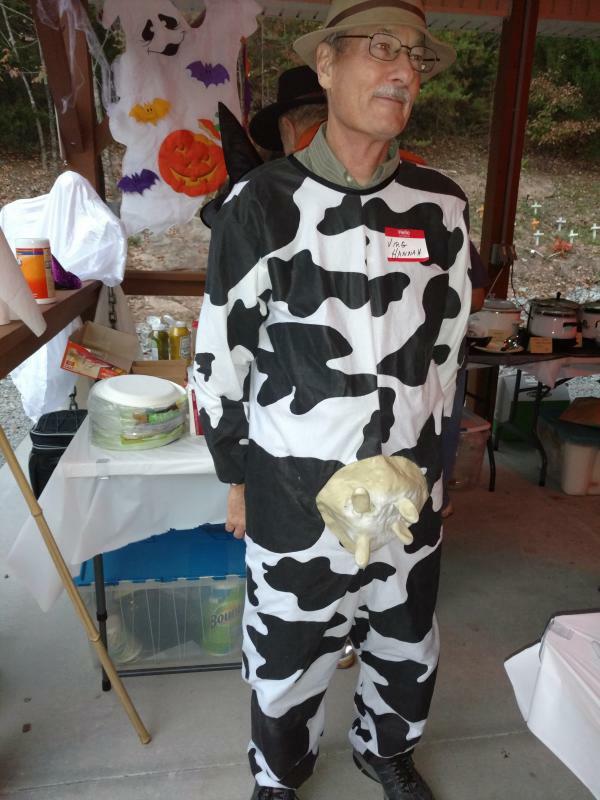 See all your neighbors dressed up in their finest costumes! Click to view Photo Album. Please send web page corrections and suggestions to Contact Us and select "Social Committee."